Designed to help an operator make critical decisions quickly in the event of a tank fire, the Votec system presents the operator with a mimic diagram of the tank farm on a 19 inch colour touchscreen display. In the event of a fire, the operator can identify the location by touching the appropriate button on the HMI mimic. 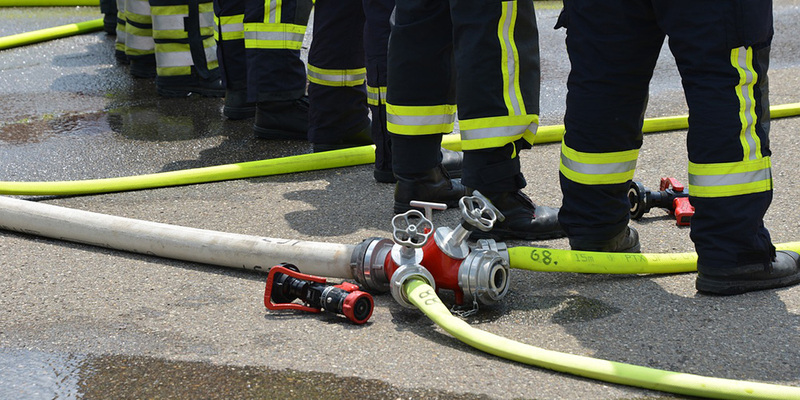 Changing valve colours indicate the recommended combination of water and foam valves to be operated for the given fire scenario. Drop-down selection boxes on each valve mimic enable the operator to control the valves as he decides. The system monitors critical parameters and warns the operator if demanded flow is reaching maximum capability. A UPS system ensures availability of the monitoring system in the event of mains power loss. This simple, yet highly critical piece of equipment is just one of the many control solutions that Votec design, build and supply to help their clients with the day to day running of their operation.